It could be demolished, but some preservationists are pushing for its salvation, along with other community members who also want to preserve it for its practical value. We’re at the Mayor’s Agent hearing to #SavetheTrestle from demolition. 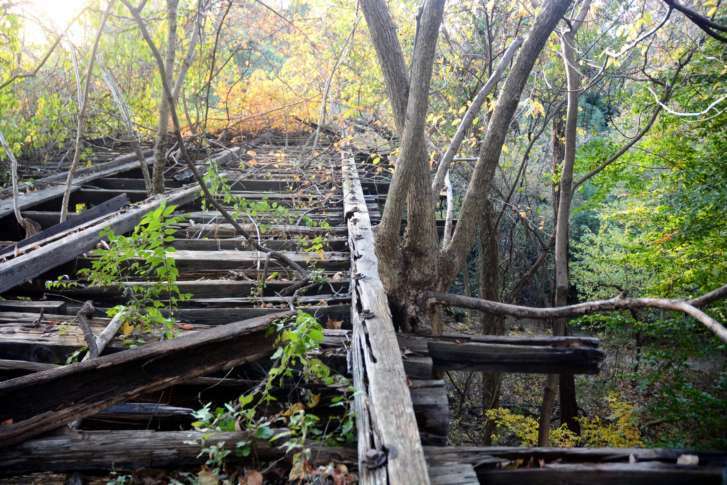 The historic Foundry Branch Trolley Trestle could be reused as a pedestrian and cycling path, but WMATA wants to demolish it before a complete reuse study can be completed by DDOT. Metro has submitted a permit to tear down the trestle, claiming that the transit agency will face economic hardship if the permit is denied. Metro earlier had told WTOP that the bridge has to be torn down due to its deteriorated condition, and because of their main focus is keeping the transportation system safe for its passengers. The Mayor’s Agent on Historic Preservation held a public hearing Friday regarding Metro’s permit to raze the streetcar bridge. The DC Preservation League tweeted that discussion of Metro’s permit will continue until the District Department of Transportation completes its Palisades Trolley Trail and Foundry Trestle Feasibility Study in August. Brett Young, who lives in the Palisades neighborhood and was at the permit hearing, agrees with Friday’s decision by the Mayor’s Agent. Young also said the streetcar bridge is historic and can have practical value as well. “We could be reusing it for encouraging more cycling, more paths to walking, dog walking,” Young said. He said preserving the bridge could also help D.C. meet some of its traffic safety objectives by providing another pathway for pedestrians and cyclists to commute from their homes to other points in D.C. and beyond. “It’s a dedication to Vision Zero, a safer environment where the pedestrian and the cyclist are in a safe environment,” Young said. D.C.’s Vision Zero plan involves shrinking traffic fatalities and serious injuries to zero by the year 2024. 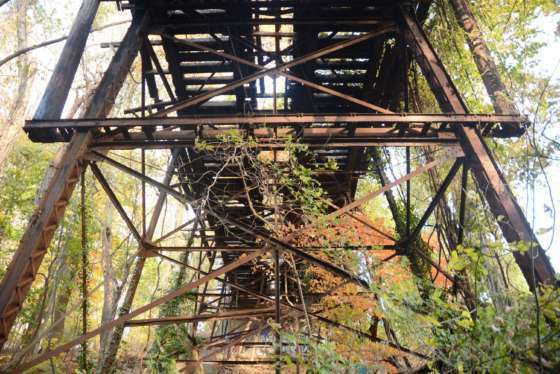 The Foundry Branch Trolley Trestle is at “imminent risk of collapse,” and trail users are being advised to detour around the danger.